The multi-tenancy feature in Deep Security lets you create separate management environments within a single Deep Security Manager. It allows tenants to each have their own settings and policies and to monitor their own events. This can be useful if you want to create separate staging and production environments or if you need to create separate environments for different business units in your organization. You can also use multi-tenancy to provision Deep Security to customers in a service model. Once you enable multi-tenancy, you (as the "primary tenant") retain all of the capabilities of a regular installation of Deep Security Manager. However, the tenants you subsequently create can have their access to Deep Security functionality restricted to varying degrees, based on how you configure the system for them. FIPS mode is not supported in a multi-tenant environment, See FIPS 140-2 support. 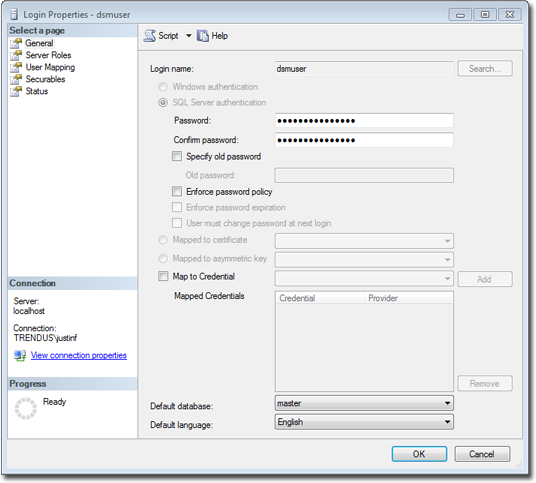 Multi-tenancy requires an activation code. Multi-tenancy also has additional database requirements. For details, see Prepare a database for Deep Security Manager and Configure database user accounts. To maximize scalability, we recommend that you use a multi-node Deep Security Manager (see Run Deep Security Manager on multiple nodes). All manager nodes process GUI, heartbeat, or job requests for any tenant. For background processing, each tenant is assigned a manager node that takes care of job queuing, maintenance, and other background tasks. Tasks are rebalanced across remaining nodes when manager nodes are added or taken offline. 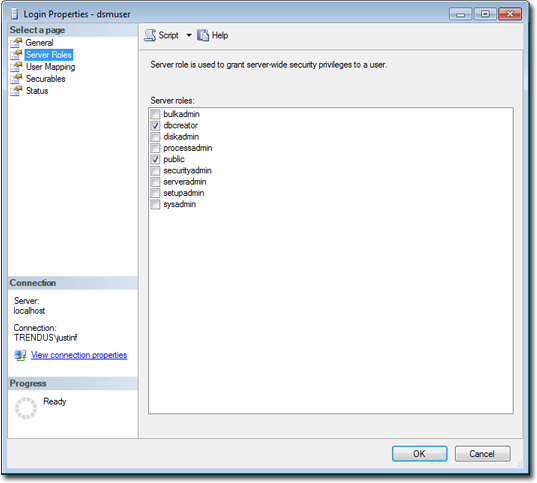 Once you enable multi-tenancy, you cannot disable it or remove the primary tenant. In the Deep Security Manager, go to Administration > System Settings > Advanced. In the Multi-Tenant Options area, click Enable Multi-Tenancy. The Multi-Tenant Configuration wizard appears. Enter your multi-tenancy activation code and click Next. Inherit Licensing from Primary Tenant: This option gives all tenants the same licenses that you (the primary tenant) have. This option is recommended if you are using multi-tenancy in a staging environment, or if you intend to set up tenancies for separate departments within your organization. Per Tenant Licensing: This option is recommended if you are offering Deep Security as a service. With this configuration, you can use the Deep Security API to provide a license when you create a tenant, or the tenant can enter a license when they sign in to the Deep Security Manager for the first time. When the wizard closes, you’ll be able to see Administration > System Settings > Tenants, where you can configure multi-tenancy options. For information about the options on that page, click Help in the upper-right corner of Deep Security Manager. You can automate tenant creation and configuration using the Deep Security API. For examples, see the Create and Manage Tenants guide in the Deep Security Automation Center. Once multi-tenant mode is enabled, tenants can be managed from Administration > Tenants. For information about the database user account permissions that are required for adding tenants, see Configure database user accounts. In the Deep Security Manager, go to Administration > Tenants and click New. The New Tenant wizard appears. Enter a Tenant Account Name. The account name can be anything except "Primary", which is reserved for the primary tenant. Enter the email address that is used to contact the tenant. Select the Locale. The locale determines the language of the Deep Security Manager user interface for the tenant. Select a Time Zone. Times for events are shown relative to this time zone, not the time zone on the system where the event happened. If your Deep Security installation uses more than one database, select whether to let Deep Security automatically select a database server on which to store the new tenant account ("Automatic -- No Preference") or to use a particular server. Database servers that are not accepting new tenants do not appear in the list. Enter a user name for the first user of the new tenant account. No Email: The tenant’s first user's user name and password are defined here and no emails are sent. Email Confirmation Link: You set the tenant’s first user's password. However, the account is not active until the user clicks a link in the confirmation email. Email Generated Password: This allows you to generate a tenant without specifying the password. All three options are available via the REST API. The confirmation option provides a suitable method for developing public registration. A CAPTCHA is recommended to ensure that the tenant creator is a human not an automated bot. The email confirmation ensures that the email provided belongs to the user before they can access the account. Click Next to finish with the wizard and create the tenant. Tenant creation can take up to four minutes due to the creation of the schema and the population of the initial data. This ensures each new tenant has the most up-to-date configuration and removes the burden of managing database templates, especially between multiple database servers. Each tenant database has an overhead of around 100 MB of disk space (due to the initial rules, policies and events that populate the system). Welcome to Deep Security! To begin using your account, click the following confirmation URL. You can then access the console using your chosen password. Welcome to Deep Security! A new account has been created for you. Your password will be generated and provided in a separate email. This is the automatically generated password for your Deep Security account. Your Account Name, Username, and a link to access Deep Security will follow in a separate email. Multi-tenancy relies on using multiple databases (if you are using Microsoft SQL) or multiple users (if you are using Oracle). To scale further, you can connect Deep Security Manager to multiple database servers and automatically distribute the new tenants across the available set of database servers. 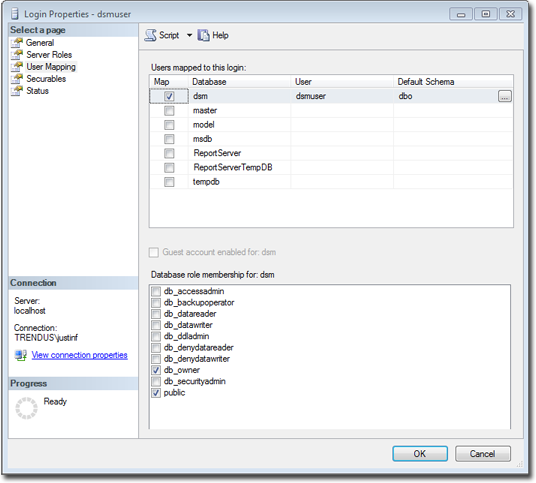 See Configure database user accounts. In a multi-tenant environment, tenants may need to add the Deep Security Manager IP address to the "Ignore Reconnaissance IP" list found in Policies > Common Objects > Lists > IP Lists. This is to avoid getting a "Reconnaissance Detected: Network or Port Scan" warning. Tenants can be deleted, but the process is not immediate. Before it deletes records, Deep Security requires that all its tenant-related jobs are finished. The least frequent job runs every week, so tenants may remain in the "pending deletion" state for up to approximately 7 days. Allow Tenants to use the Relays in my "Default Relay Group" (for unassigned Relays): Gives tenants automatic access to relay-enabled agents set up in the primary tenant. This saves tenants the effort of setting up dedicated relay-enabled agents for security updates. Allow Tenants to use the "Run Script" Scheduled task: Scripts present a potentially dangerous level of access to the system; however, the risk can be mitigated because scripts have to be installed on the Deep Security Manager using file-system access. Created: Created, but activation email has not been sent to the tenant user. Active: Fully online and managed. Suspended: No longer accepting sign-ins. Pending Deletion: Tenants can be deleted, but it is not immediate. The tenant may be in the "pending deletion" state for up to 7 days, until pending jobs finish. Database Upgrade Failed: For tenants that failed the upgrade path. The Database Upgrade button can be used to resolve this situation. Double-click on a tenant to view the tenant's Properties window. You can change the locale, time zone and state. Changes do not affect existing tenant users (only new ones, and parts of the UI that are not user-specific). The Database Name indicates the name of the database used by this tenancy. You can access the tenant database's properties via the hyperlink. The Modules tab provides options for protection module visibility. The selected visibility can be used to tune which modules are visible for which tenants. By default all unlicensed modules are hidden. You can change this by deselecting Always Hide Unlicensed Modules. Alternatively, selected modules can be shown on a per-tenant basis. By default, if you use "per tenant" licensing, each tenant only sees their licensed modules. If you select Inherit License from Primary Tenant, then all tenants can see all features that you (the primary tenant) are licensed for. If you select this option, then all of the primary tenant's unlicensed modules are hiddden for other tenants, even if you deselect their option Always Hide Unlicensed Modules. If you are evaluating Deep Security in a test environment and want to see what a full multi-tenancy installation looks like, you can enable "Multi-Tenancy Demo Mode". When in Demo Mode, the manager populates its database with simulated tenants, computers, events, alerts, and other data. Initially, 7 days' worth of data is generated but new data is generated on an ongoing basis to keep the manager's dashboard, reports and events pages populated with data. Do not use Demo Mode in a production environment. Demonstration data will be mixed with real data, which can make it difficult to determine if there are real attacks or malware. As an Administrator, you can enable or disable certain features for specific tenants. These available features may change over time. If you enable Extended Descriptions for Event Forwarding, Deep Security includes the full description of events that are forwarded to Amazon SNS or a SIEM. Otherwise, descriptions are omitted. SAML Identity Provider Integration, Amazon WorkSpaces Integration, and Application (Application Control) are enabled by default. The Statistics tab shows information for the current tenant including database size, jobs processed, logins, security events and system events. The spark line show the last 24 hours at a glance. The Agent Activation tab displays a command that you can run to activate the agent on the computer. The command is relative to the agent install directory of this tenant's computers. 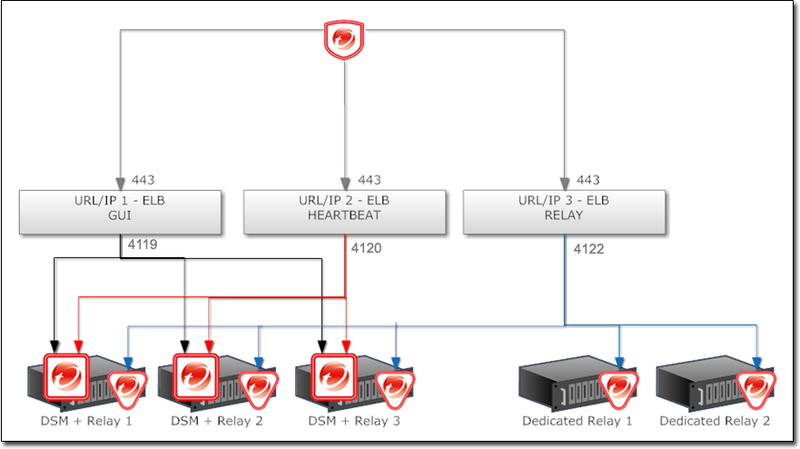 Activation is required so that Deep Security Manager can securely connect with it, and the tenant can assign policies and perform other configuration procedures from the Deep Security Manager. What does the tenant see? When multi-tenancy is enabled, the sign-in page has an additional Account Name text field. Tenants are required to enter their account name in addition to their user name and password. The account name allows tenants to have overlapping user names. For example, if multiple tenants synchronize with the same Active Directory server. When you (as the primary tenant) log in, leave the account name blank or use "Primary". It is also important to note that tenants cannot see any of the multi-tenant features of the primary tenant or any data from any other tenant. In addition, certain APIs are restricted since they are only usable with primary tenant rights (such as creating other tenants). For more information on what is and is not available to tenant users, see Multi-tenant settings. All tenants have the ability to use role-based access control (RBAC) with multiple user accounts to further sub-divide access. Additionally, they can use Active Directory integration for users to delegate the authentication to the domain. The Tenant Account Name is still required for any tenant authentications. Agent-initiated activation is enabled by default for all tenants. Unlike agent-initiated activation for the primary tenant, a password and tenant ID are required to invoke the activation for other tenant users. dsa_control -a dsm://<host or IP>:4120/ "tenantID:XXXXXXXX-XXXX-XXXX-XXXX-XXXXXXXXXXXX" "token:XXXXXXXX-XXXX-XXXX-XXXX-XXXXXXXXXXXX"
Tenants are not able to access manager diagnostic packages due to the sensitivity of the data contained within the packages. Tenants can still generate agent diagnostics by opening the computer editor, going to Actions > Overview, and then selecting Agent Diagnostics. Deep Security Manager records data about tenant usage. To view it, go to the dashboard's Tenant Protection Activity widget, the Tenant Properties window's Statistics tab, and reports. This information can also be accessed through the REST API's status monitoring, which can be enabled or disabled by going to Administration > System Settings > Advanced > Status Monitoring API. Use the REST API's status monitoring to customize the type of tenant information that you would like to see, depending on your environment. For enterprises, this can be useful to determine the usage by each business unit. You can also use the information to monitor the usage of the overall Deep Security system and look for indicators of abnormal activity. For example, if a single tenant experiences a spike in security event activity, it might be under attack. The same information is available on Administration > Tenants (some in optional columns) and on the Statistics tab of a tenant's Properties window. This information provides the ability to monitor the usage of the overall system and look for indicators of abnormal activity. For example, if a single tenant experiences a spike in security event activity, they might be under attack. The majority of each tenant's data is stored in a separate database. This database can co-exist on the same database server as other tenants, or it can be isolated onto its own database server. In all cases, some data only exists in the primary database (the one installed with Deep Security Manager). When multiple database servers are available, tenants are created on the database with the least amount of load. Data destruction: Deleting a tenant removes all traces of that tenant's data (supported in the product). Backup: Each tenant's data can be subject to different backup policies. This can be useful for something like tenancy being used for staging and production where the staging environment requires less stringent backups (backups are the responsibility of the administrator setting up Deep Security Manager). Balancing: The potential for future re-balancing to maintain an even load on all database servers. Microsoft SQL Server, Oracle, and PostgreSQL use different terms for database concepts described below. The following section uses the Microsoft SQL Server terms for both SQL Server and Oracle. See also Configure database user accounts. Multi-tenancy requires that Deep Security can create databases when you create new tenants, so its SQL Server database user requires the "dbcreator" role. 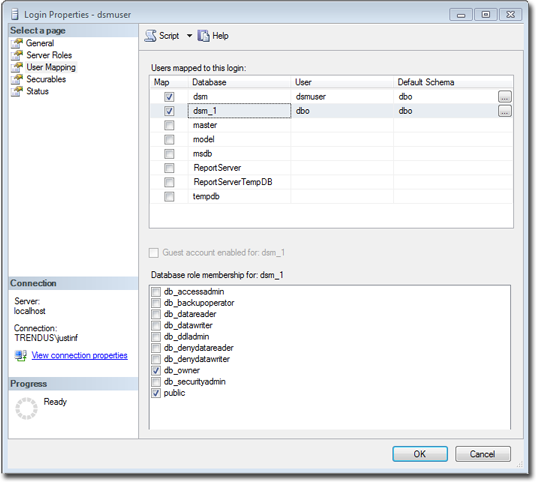 For the user role of the primary tenant, assign DB owner to the main database. You can restrict the rights to include only the ability to modify the schema and access the data. To create the first account on a secondary database server, only the "dbcreator" server role is required. No user mapping is required. Multi-tenancy in Oracle is similar to Microsoft SQL Server, but with a few important differences. Where SQL Server has a single user account per database server, Oracle uses one user account per tenant. The user that Deep Security was installed with maps to the primary tenant. That user can be granted permission to allocate additional users and tablespaces. Use a short name for the main database name to make it easier to read your tenants' database names. Deep Security derives tenants' database names from the main (primary tenant)'s Oracle database name. For example, if the main database is named "MAINDB", then the first tenant's database is "MAINDB_1", the second tenant's database name is "MAINDB_2", and so on. 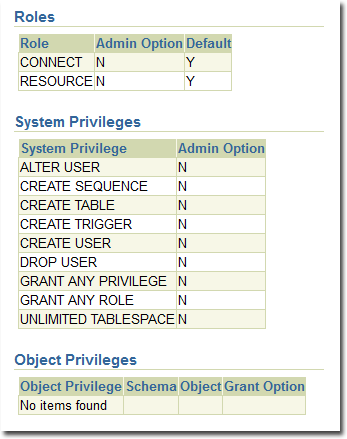 For secondary Oracle servers, you must create the first user account (a bootstrap user account). This user has a mostly tablespace. The configuration is identical to the primary user account. On a secondary database server, the hostname, username, and password are required. The username must have privileges to create additional users (roles) and databases. By default, all tenants are created on the same database server that Deep Security Manager was installed with. In order to provide additional scalability, Deep Security Manager supports adding additional database servers (sometimes referred to as a secondary database). When you add a tenant, you have the option to let Deep Security automatically select a database server on which to store the new tenant account or you can specify a particular server. 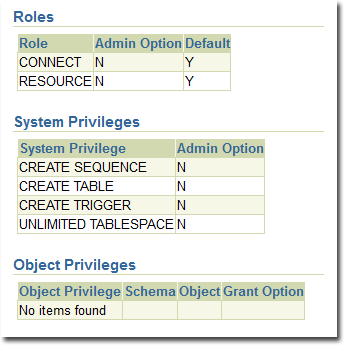 To configure more databases, go to Administration > System Settings > Tenants. In the Database Servers section, click View Database Servers, and then click New . This account is used not only to create the database but to authenticate to the databases that are created. For Oracle, multi-tenant deployments use a different model. The new database definition defines a user that is bound to a tablespace. That user is used to "bootstrap" the creation of additional users on Oracle. You can delete database servers (other than the primary database) if there are no tenants on the server. If the hostname, user name, password or any details change for a secondary server, you can change these values in the Deep Security Manager console. To change values for the primary database, you must shut down all nodes of the Deep Security Manager and edit the dsm.properties file with the new details. In addition, the legacy SOAP API includes a new authenticate method that accepts the Tenant Account Name as a third parameter. For more information on the REST APIs please see Use the Deep Security API to automate tasks. When you run the Deep Security Manager installer, it should detect any existing installation. You can choose to either make a new installation, or upgrade the existing one. If you upgrade, the installer first tries to shut down other nodes, and then starts to upgrade. The installer upgrades the primary tenant first, followed by the other tenants in parallel (five at a time). Once the installer finishes, run the same installer on the other manager nodes. If a problem occurs during the tenant's database upgrade, then on Administration > Tenants, the tenant's State is Database Upgrade Failed (offline). The tenant's interface can be used to force the upgrade process. If forcing the upgrade does not work, please contact support. Especially if you are an MSSP that is the first tier support provider to your tenants, sometimes a primary tenant might need to log in to another tenant's user interface. To do this, go to Administration > Tenants. Right-click the tenant's name, and then select Authenticate As. (The option may not be available if the tenant has disabled access.) This creates a temporary user account with the "Full Access" role inside that tenant, and immediately logs you into that account. Temporary account names are "support_" followed by their username inside the primary tenant. For example, if your primary tenant username is "jdoe", and you create a temporary account inside tenant "T1", then you would be immediately logged into "T1" as "support_jdoe". Temporary support accounts are deleted when either they log out or their session times out. Tenants can see system events about the temporary support account's creation, log in, log out, and deletion. Administration > System Information has more information about tenant memory usage and the state of threads. server#.log log files (such as server0.log) on each manager node's disks have the name of the tenant, and the user if applicable, associated with each event. to apply setting changes or actions to that tenant. If the argument is omitted, the command applies to the primary tenant. By default, a multi-node manager gives the address of all nodes to all agents and virtual appliances. The agents and virtual appliances randomly select a node from the list when they try to connect. If they cannot, then they try another node on the list, continuing this process until either a connection succeeds, or no nodes can be reached. If they can't reach any node, then they wait until the next heartbeat to try again. This works well in environments with a fixed number of manager nodes if you don't want to configure a load balancer for availability and scalability. In multi-tenant environments, however, you may want to add and remove manager nodes on demand (perhaps using auto-scaling features of cloud environments). Each time one node is added or removed, this causes an updated list to be sent to all agents and virtual appliances. Until then, connections to old nodes may fail, and the new node will be unused. This causes slow communications and increased network traffic. To avoid this, instead configure agents and virtual appliances to connect via the load balancer's address. Load balancers can be configured to either use different port numbers for each different type of traffic, or (if the load balancer supports port re-direction) expose all of the required protocols over port 443 using three load balancers. Balance load based upon TCP connections; do not use SSL termination. This ensures that an entire connection occurs with the same manager node. The next connection may be distributed to a different node. If Deep Security is being deployed in a VMware environment, you can configure the vCenter and its connector in the primary tenant and the vCloud connector in tenants. If this is configured properly, the primary tenant sees the ESXi servers, Deep Security Virtual Appliances, and other infrastructure while tenants only see the agentlessly protected VMs that belong to them in the vCloud environment. To enable this type of environment, go to Administration > System Settings > Agents and select Allow Appliance protection of vCloud VMs. For more information on vCloud integration, see Install the agent on VMware vCloud.